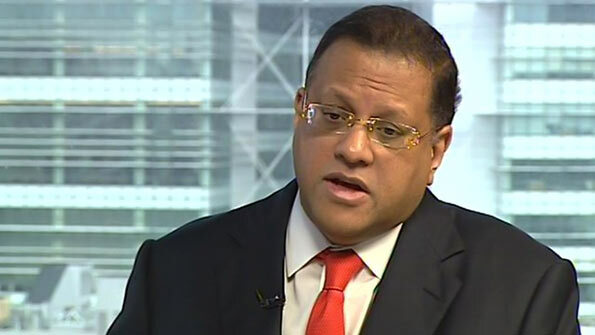 Sri Lanka’s central bank Governor Arjuna Mahendran has resumed his duties after a more than five-week voluntary leave of absence after being cleared by a panel investigating a controversial government bond auction. The panel of legal experts probing the Feb. 27 auction said on Sunday that it had cleared the central bank chief of any direct role in the decision to increase the size of the sale by 10 times, while calling for tighter supervision of the government’s borrowing office. “The governor is in office today for the first time after he went on leave,” a central bank official said on Thursday condition of anonymity because he is not authorised to speak to media. Mahendran, when contacted, declined to comment, saying he was busy in a meeting. Mahendran went on leave of absence on March 16 after opposition parties pressed Prime Minister Ranil Wickremesinghe’s government to sack him and hold an independent investigation into the bond auction. The prime minister appointed the three-member panel to probe the deal. Mahendran, a Sri Lankan-born Singapore national, was questioned by Sri Lanka’s anti-corruption authority and banned from traveling abroad. At the auction, the government raised more than 10 billion rupees ($75.2 million) from the sale of a 30-year treasury bonds at a yield of 11.73 percent, after initially offering just 1 billion rupees with an indicative price of 9.5 percent. The main opposition says the higher yield would cost the government an extra 45 billion rupees ($338.60 million) and has alleged that the government has been trying to cover up the issue with a simple commission report. Deputy Investment Minister Eran Wickramaratne rejected the opposition claim on the losses, but said the deal has caused damage to the Wickremesinghe government. Here we go again; the Wonder of Asia creating another ‘1st in the World’ event. This servant of the public, alleged to have looted billions from public coffers, was given 5 weeks paid leave at taxpayers expense, to travel the world, Singapore, Dubai and US, to collect the loot and perhaps, invest the loot in safe havens. His protectors appointed a dud committee and declared him innocent. But the brave officer heading the corruption watchdog and an insignificant magistrate doing a proper job, have banned this person from overseas travel. So, dear people of Sri Lanka, we have a Central Bank Chief, who is under a properly evidenced cloud of suspicion, banned from overseas travel. Where is all the old school decency that one should resign when storm clouds of suspicion are gathering in the horizon? This person smells like fish which has not been kept refrigerated for a month! The earlier he is confined to the safe haven in Welikada, the better off the nation will be. O No Ganjapani , He has qualified himself to be in Ranil’s all party cabinet to be appointed after next polls.